Lecturers at City of Wolverhampton College and 14 others took strike action for a living pay increase of 5%. 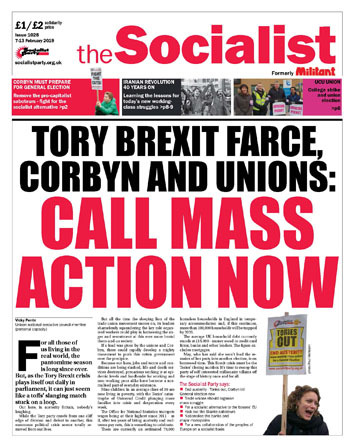 Socialist Party members visited the picket line organised by the University and Colleges Union (UCU) to show solidarity and learn more about the dispute. After years of below-inflation pay increases, many further education college lecturers now earn £7,000 less a year than secondary school teachers with equivalent experience. College budgets cuts have meant increased workloads, for effectively less real-terms pay! To add insult to injury, while strikes at other colleges have been called off after management made improved offers, at Wolverhampton the bosses have refused to even meet with union reps to discuss the issues! One picket commented, "Management have forgotten that they were in the same position as us 10 or 15 years ago. You have to remember your friends when you go up, or else you won't have any when you go back down." College lecturers aren't the only ones who have suffered a decade of austerity, and they're not the only ones fighting back. Lecturers and support staff in higher education, school teachers and civil servants are all in the process of balloting for strikes against pay 'restraint' imposed by public sector employers on behalf of the Tories. Wouldn't it be great if these disputes could be linked up into co-ordinated strike action? That would give a better chance of winning concessions and act as another nail in the coffin of this vicious Tory government. Lecturers at Bradford College had their 3rd and 4th days of strike action. There was a good mood on the picket lines with very few people crossing. 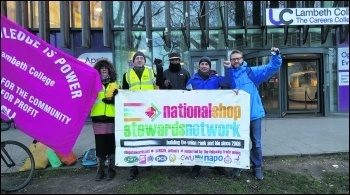 A delegation of RMT members invoked on the Northern Rail dispute came to return solidarity shown by UCU members throughout their dispute. A few students also joined the picket line to express their support. Elaine White, Bradford striker and UCU national executive committee member, told us: "Over the last ten years of austerity UCU members working in further education colleges like Bradford have seen at least 25% drop in the value of their pay with no significant pay rise in those years. At least 30% of teachers in colleges are working on precarious, often hourly paid, zero-hour contracts, and many through agencies or subsidiary companies. "Lecturing staff in colleges are teaching diverse and working-class communities, many who have not had positive experiences in their previous schools and who can be challenging. "Teaching staff work hard and are determined to give them the best education we can provide, but we do this with fewer resources than our colleagues in schools and on average getting £7,000 less. Teachers in the school sector have finally seen a 3% pay rise, but there's still nothing on the horizon for further education staff. "UCU further education branches initially balloted their members over the FE Fights Back Campaign for a Fair Pay in FE back in October. On that occasion six colleges including Bradford College UCU - one of the biggest further education branches in the country - got over the Tory threshold. "We took two days of strike action in November and issued a reballot which resulted in a further ten crossing the threshold ready for the new term. So 29 and 30 January have been Bradford's 3rd and 4th days of action over this issue and if management continue to fail to talk to us over this issue, we are preparing for a further three days in March, with more to come after that"
Messages of support for Bradford College UCU can be sent to g.evans@bradfordcollege.ac.uk and supporters are welcome to join the picket lines. 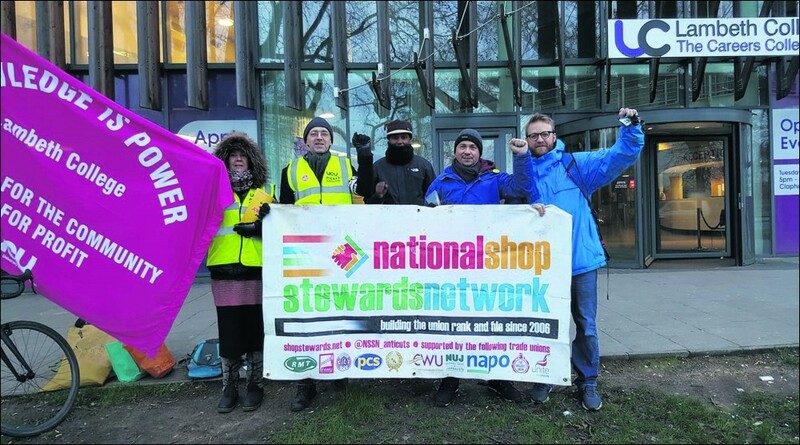 Lambeth College workers joined further education staff from 15 colleges in England in two-days of strike action from 29 January, as college bosses continue to resist a decent pay offer for workers. The UCU has called on education secretary Damian Hinds to provide extra funding for the sector, but stressed that college bosses could not continue to hide behind government cuts as an excuse for offers of low pay. Having endured a 25% cut in real-terms pay over the past decade, workers at Lambeth College joined the call for a 5% pay rise. After years of underfunding and overpromising on pay, workers are now stepping up their fight for fair pay.